When it comes to divulging information to one’s hunting locales, hunters in general tend to be not very forth coming about releasing that sort of information to friends, fellow hunters, and let alone strangers. 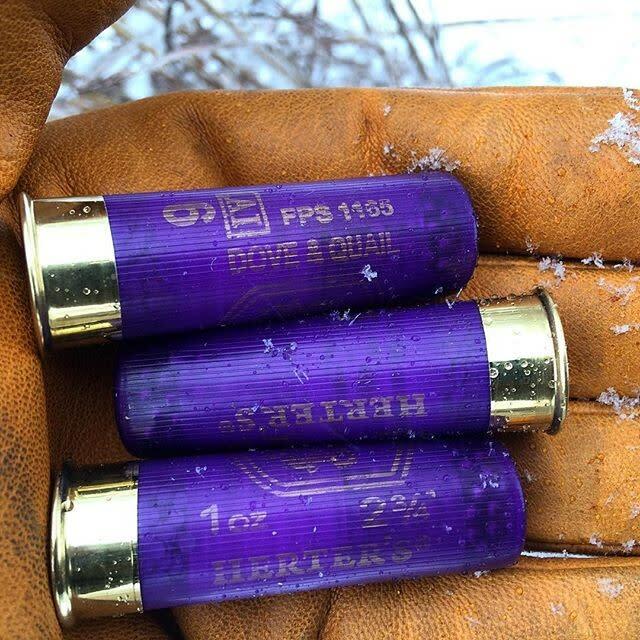 So it came as a big surprise to me, when I had the opportunity to politely intrude on someone’s fortune and offer to go after one of Kansas’ scarcest and hardest gamebird to hunt. It all started when I received a sort of cryptic description of a location in the Southwestern part of Kansas to hunt the ever elusive scaled quail. Scaled quail are not common in Kansas, but can be found in small numbers in pockets of areas throughout Southwest Kansas. The most well-known place to hunt scaled quail in Kansas is the Cimarron National Grasslands. Very few hunters as well as Kansas natives are unaware that scaled quail inhabit the sunflower state. Typical upland hunters to Kansas usually target the more famous of the quails…the bobwhite. Scaled quail are also referred to as scalies, cotton-tops, or blue quail. Their description is based on the blue coloration of their plumage and their resemblance to scales. I had a very short window to drive and find the location mentioned and hopefully get into some quail. My timeframe consisted of one day. That meant leaving the comfort and warmth of my home and setting out on the road several hours before daylight peeked over the horizon. With extra-clothes, gear, and guns packed, I headed down the highway towards a place, possibly mythical in nature as locations of blue quail are not usually freely given but guarded. With each passing mile, my skepticism grew like adding wood to a fire. Where was I going? Did this quail Shangri-La even exist? Who would give up such a place, especially a public access area just outside the grasslands? It was worth my time and worth the chance. Trekking across the white landscape with no signs of any “blues”, I continued to press onward. I walked the rolling hills intertwined with yucca plants, plum thickets, and the occasional cactuses scattered throughout this so called hidden gem. A location that wanted to keep its secret of scaled quail to itself. I was literally chasin’ the blues. In an instant, feathered wings took to the air and a covey of birds erupted from the ground in front of me. What seemed like slow motion, I raised my Remington shotgun to my shoulder and tracked a bird who was desperately gaining speed. Nano-seconds passed and I squeezed the trigger, only to hear and feel the blast from my 16 bore. The puff of feathers falling from the sky, seemed like it had started to snow. I took a mental picture of where the bird had fallen and swung my shotgun to the left as another bird was clearly out of my range. I pulled the trigger again, and saw the bird tumble to the ground. I found both birds laying in the snow. There plump little bodies colorized in hues of gray. The feathers resembled scales with specks of tan with a bluish tint and the white tuft on top of their crowns, reminded me of cotton. The smell of spent gunpowder in the air, permeated the area making its way along a slight breeze that carried the feathers off onto their final resting place. WANNA GO? The Cimarron National Grasslands is located in extreme Southwestern Kansas. It is the largest tract of public land in Kansas at just over 108,000 acres and is bisected by the Cimarron River. The area is managed by the U.S. Forest Service. There are also several thousand additional public access acres that are enrolled in the Walk-In Hunting Area access program spread throughout the area. The terrain is mostly flat and consists of mostly shortgrass prairie grassland, dotted with sand sagebrush, yucca plants, cholla cactuses, and cottonwood groves found along the river. For the adventurer, primitive dispersed camping is allowed throughout the grasslands, except the river corridor or one can stay at the campground. 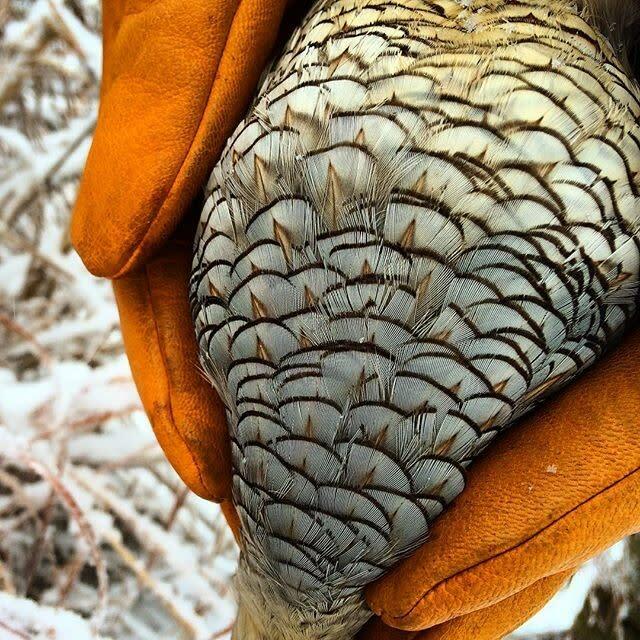 For the bird hunter, bobwhite and scaled quail, pheasant, and mourning dove make up the upland game population. Opportunities for big game exists for mule & white-tailed deer, and pronghorn.